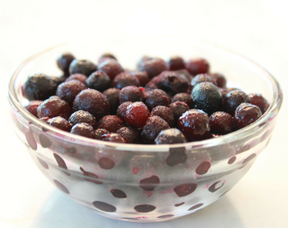 DYK that incorporating a half cup of frozen wild blueberries into your diet each day may help you live longer? Recently, the TODAY Show featured three foods that may increase longevity; rye from Sweden, olives and olive oil from Cyprus, and our favorite superfruit, wild blueberries. These tiny potent and tasty berries only grow where mother nature put them in the harsh climates of Maine, Eastern Canada and Quebec. 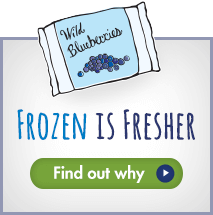 And it’s their ability to survive in the thin glacial soils and harsh, cold northern climate that makes wild blueberries, one the most antioxidant rich fruits available and twice that of ordinary blueberries. Over the last two decades, scientific research has found that wild blueberries may help lower the risk of heart disease, cancer and diabetes risk, have positive impacts on memory, mood and cognitive function in children and older adults, and potentially help prevent the devastating effects of Alzheimer’s. Plus, wild blueberries taste delicious. 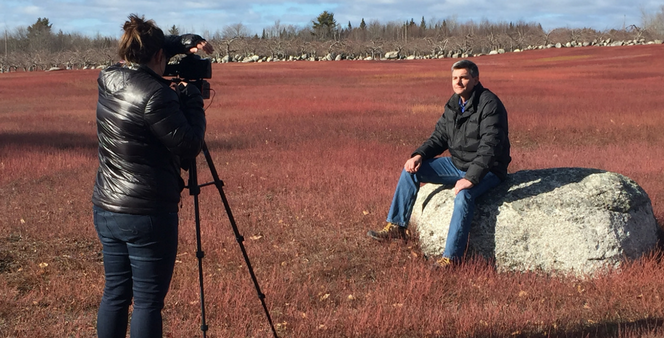 When you visit your local grocery store be sure to always look for the word WILD on that bag of frozen blueberries and your favourite healthy products. You’ll enjoy amazing taste and long-term health benefits. Here’s to a long and healthy life! Spring is officially here except in the Northeast where we’re still waiting on Mother Nature to give us a glimpse. No matter where you are or the weather, make sure your Easter celebration menu is fresh and inspired with wild blueberries. We’ve selected five recipes that will satisfy sweet and savoury taste buds from brunch to dinner. 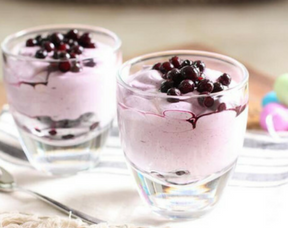 Each bite enjoyed will be bursting with incredible antioxidant-rich wild blueberry flavour.